I cannot stress enough to homeowners the importance of kick-out flashing and how often it is overlooked. 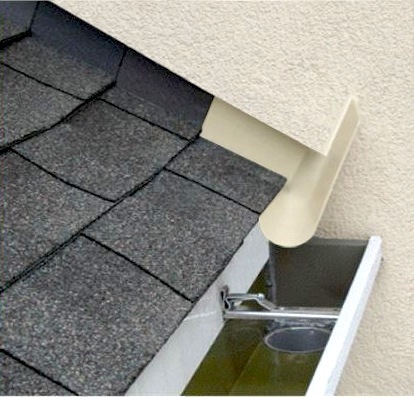 Kick-out flashing is a small piece of metal flashing that diverts the water away from an intersection where a side wall and roof line meet. The photo to the right showcases missing kick-out flashing on the roof. Note how there is no flashing where the roofing shingles meet the sidewall. The lack of flashing allows mold to grow and the wood siding to begin rotting. This is a common problem here in Houston and southeast Texas. 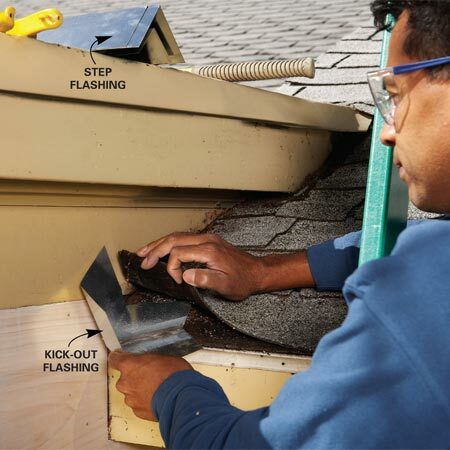 After the rotted wood is replaced, the kick-out flashing needs to be installed under the roofing shingles. Here in Houston Texas we receive nearly 4′ of rain per year. This correctly installed flashing will ensure that no water gets behind the siding and roofing shingles to cause mold and rot issues. This is a Stucco Siding job with correctly installed kick-out flashing. 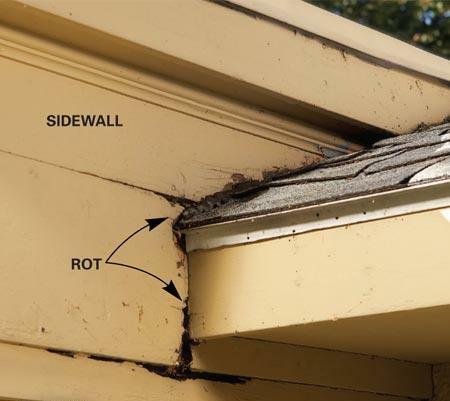 This photo showcases how to stop water from entering under roofing shingles and siding long after the crews are gone! This entry was posted in Asphalt Shingle, Home Improvement, Home Siding, House Shingles, James Hardie siding, LP SmartSide Siding, Metal Roofing, Re - Roofing, Roof, Roof Shingle, Roofing, Roofing Contractor, roofing contractors, Roofing Shingle, Texas Home Exteriors, The Woodlands Texas and tagged Greg Kapitan, Houston, houston texas, Kapitan The Siding man, kickout flashing, Roof, roof shingles, Roofing, Texas Home Exteriors. Bookmark the permalink.